Let your Cleveland Indians colors show in this Cleveland Indians Full Zip Jacket. You'll love showing off your team spirit in this Womens Navy Blue Training Camp Long Sleeve Full Zip. 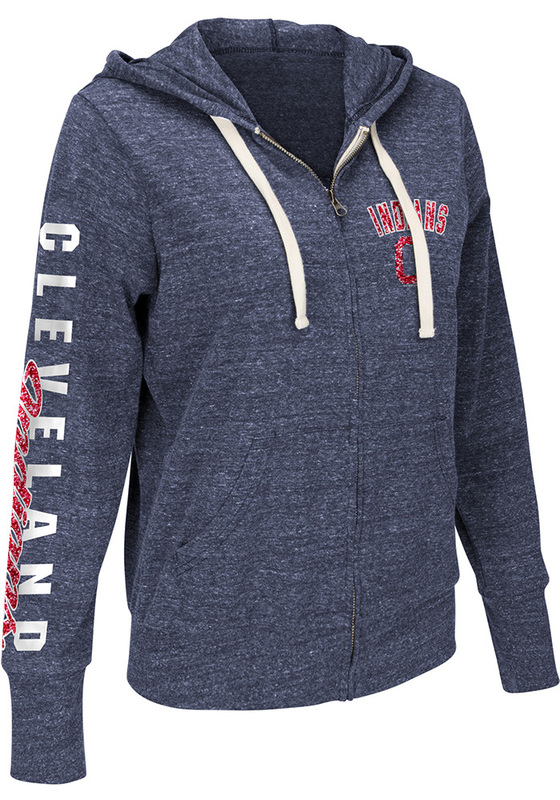 Make a statement in this Cleveland Indians Womens Long Sleeve Full Zip Jacket, which features a screen print graphic and full zip hood.